Francisco Soto is a thought leader in the operational excellence space. He specializes in simplifying how his clients maximize the value of their strategy through a combination of their integrated management system and culture. 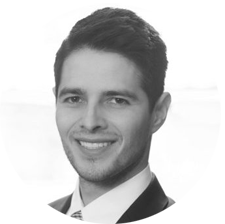 Francisco has extensive experience across an array of industries but specializes in O&G. His career began as a highly successful engineer for PepsiCo. As a consultant, his clients include Suncor Energy, Cenovus Energy, American Bureau of Shipping, Alberta Energy Regulator, Irving Oil Limited, Devon Energy, Vanguard, Land O’Lakes and more.